“Ask Brianna” is a column from NerdWallet for 20-somethings or anyone else starting out. I’m here to help you manage your money, find a job and pay off student loans — all the real-world stuff no one taught us how to do in college. Send your questions about postgrad life to [email protected]. I’m about to graduate from college, and I’m worried about paying off my student loans. How can I find a job that will help me afford my loan payments? Your first job might not be perfect — mine, as a paralegal, taught me the invaluable lesson that I didn’t want to be a lawyer — but it should move you in a direction that excites you. That means student debt shouldn’t entirely dictate your career choice. Comfortably paying bills isn’t worth much if you’re miserable 40 hours a week. You are not the first, though, to read every job description with student debt on the brain. In a 2015 survey of student loan borrowers by the education nonprofit American Student Assistance, more than half of respondents said they took a higher-paying job they were less interested in so they could pay off their loans. That doesn’t have to be you. Federal student loan repayment programs make lower-paying work more sustainable, and some private companies help pay loan bills. As your job search rolls on, remember that you have options and that having debt doesn’t require you to abandon all your dreams. More than a third of respondents in the American Student Assistance survey said student loans affected their choice to work at a private company rather than in the public sector. But if you’re planning to work for the government or a 501(c)(3) nonprofit, familiarize yourself with federal loan forgiveness programs. Public Service Loan Forgiveness cancels qualifying public sector workers’ loans tax-free after 120 on-time monthly payments. The program has very specific requirements and may not apply to those who work for nonprofits with other designations under the tax code, like 501(c)6 or 501(c)19. If you’re not sure what type of nonprofit you’re interviewing with, ask your human resources representative. Make sure you follow the additional guidelines on the Federal Student Aid website and fill out an employee certification form annually, or whenever you change jobs, to ensure you’re on track. Unfortunately, private student loan borrowers don’t qualify for federal forgiveness programs. Ask your lender about options for lowering your monthly payments. The Consumer Financial Protection Bureau drafted a sample letter you can use. Some private companies offer student debt payments — say, $100 a month directly to the loan principal — as an employee benefit, similar to health insurance or 401(k) contributions. 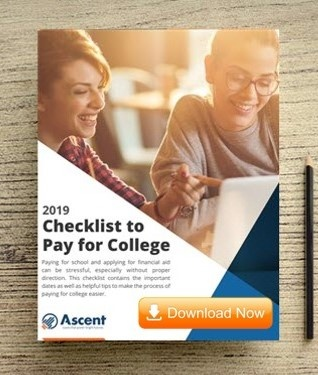 A 2016 report from the Society for Human Resource Management found that 4% of member companies and organizations surveyed offered student loan repayment assistance. And more companies are getting in on the trend. Gradifi, an online platform that helps employers implement loan assistance programs, has signed contracts with more than 20 new companies in the past two months, says Meera Oliva, Gradifi’s chief marketing officer. Elaine Florentino, 24, receives $100 a month from her employer, financial services firm PwC. She left school with a master’s degree in taxation and $57,000 in loans. The student loan assistance plan will cut her repayment term by one year, she says, if she stays with the company for six years, when the benefit maxes out. Most workers currently have to pay taxes on employer student loan contributions, Oliva says, which reduces the value of the benefit. And it doesn’t address the forces driving rising student debt, says Suzanne Martindale, a staff attorney at Consumers Union, the policy division of Consumer Reports. “The fact that even private employers are feeling the pinch of not being able to attract good employees because of debt levels, that really tells us that policymakers have waited far too long to really get at the root of these problems,” she says. Want to find out if a specific employer can help you beat debt? Companies will often tout their student loan repayment benefits on their websites. You can also ask a company if it offers the benefit when you’ve received a job offer, or let human resources know employees would be interested in it once you’re hired. Brianna McGurran is a staff writer at NerdWallet. Email: [email protected]. Twitter: @briannamcscribe. The article Ask Brianna: Should I Pick My First Job Based on My Debt? originally appeared on NerdWallet.